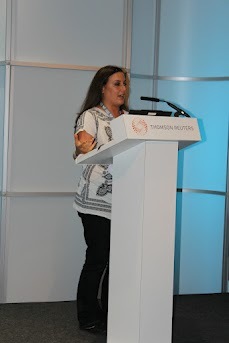 The Indigo Trust was fortunate enough to be in a position to fly over the managers of some of Africa’s leading tech spaces/’hubs’ to participate in sessions at Africa Gathering London on 15th June 2012. 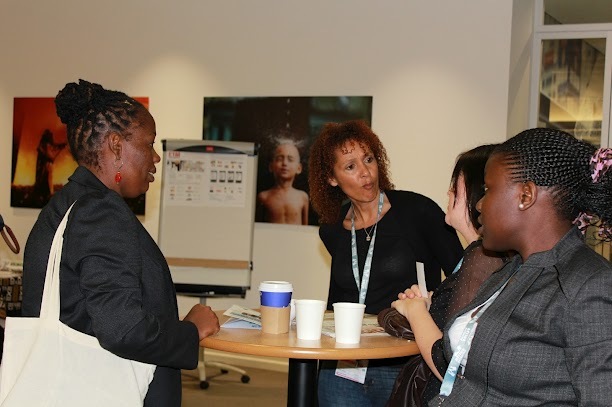 They joined funders, techies and social change enthusiasts to share best practice and showcase their work, whilst exploring the themes of: supporting start-ups and incubating projects; achieving financial sustainability and inspiring social change projects. We were grateful for the opportunity to learn from such an inspiring group of people – the heroes on the ground, working hard to inspire a community of techies to contribute to positive change in their own lives and communities. Hub managers/staff: Barbara Birungi (Hive Colab Uganda); Bart Cornille (Bongo Hive Zambia); Carter Draper (iLab Liberia); Tunji Eleso (Co-Creation Hub Nigeria); Kwesi Eyison (G Space Ghana); Hamilton Juma (ihub Nairobi); Jones Mrusha (KINU Tanzania) and Luca Neghesti (KINU Tanzania). Representatives from the World Bank, Google, Omidyar, DFID and SIDA, Tom Steinberg and Paul Lenz from mySociety, Franco Papeschi of WWW Foundation and Su Kahumbu, Founder of iCow. Unfortunately, Al Banda from Activ Spaces Cameroon and Andriankoto Ratozamanana from the Madagascar Innovation Space were unable to attend due to issues securing visas. Tunji Eleso began with a fantastic presentation showcasing the Co-Creation hub, which was co-funded by Indigo Trust and Omidyar Network last summer. The Co-Creation Hub, based in Lagos, is ‘a social innovation centre dedicated to accelerating the application of social capital and technology for economic prosperity’. Below is a copy of Tunji’s presentation, which outlines their innovative approach and showcases some of the promising projects/products which they are incubating. An Open Living Lab approach can be highly effective. User-driven innovation is integrated into a co-creative process to develop new products, services and societal infrastructure. Events such as Tech-In Governance, focusing around a particular theme, can bring the right Stakeholders together, which is crucial to ensure that products developed tackle a genuine need. These could include techies and designers, entrepreneurs, civil society players such as CSOs and NGOs, business people and government officials. You can read more about this approach here. In order to identify appropriate projects for incubation, it is helpful to provide pre-incubation support, ideally coupled with research. This can include training, events, advice, funding and mentorship. It is important to identify customers/a market at an early stage and to regularly get feedback from users on proofs of concept. Testing facilities can hugely assist this process. Many hubs are now developing Open Source products. Rather than re-inventing the wheel, it would be fantastic to see some of the successful projects being replicated and adapted for use in other countries or regions. It is important to think beyond your initial audience across the private, public and third sector when considering sustainability models. mySociety provide an interesting case study for this. Complex algorithms which they developed to calculate transport journey times are now being used to provide information regarding housing markets in the UK. Understanding your potential market is key. Local techies can provide locally relevant content to multi-nationals e.g. Co-Creation Hub is working with Nokia to provide local content through a three year accelerator programme. It is worth noting that they are speaking with their Strategy Department as opposed to Corporate Social Responsibility or Marketing. Achieving financial sustainability can be a challenge for start-ups but there are many potential routes to income generation including: charging large organisations to use their services, charging for consultancy or training, advertising, selling products, providing tailor made services and data analysis. Sometimes opportunities to generate income arise unexpectedly. World class applications are now being developed across Africa. When identifying markets, technology makes it possible to think globally. Keep talking about your hub/organisation using social media, blogging and offline communications such as speaking at events. It’s amazing what opportunities can arise through this. In many African countries, a tech community already exists, but it is often fragmented. Physical spaces can really help to bring people together and stimulate collaboration. They also provide the necessary support ecosystem and access to state of the art facilities and high bandwidth. Collaboration can be a challenge, but it is crucial for success as it enables people to share ideas and expertise, troubleshoot problems, co-create solutions, learn from each other and explore new possibilities. It is important that those supporting hubs take into account local context. Each country and indeed different regions in the same country are at different states of readiness in terms of supporting a tech community. There are dramatic variations in costs, infrastructure, local capacity, cultural norms, policy and regulatory framework, access to finance and market, community size and hub resources in different communities. In some countries and regions, there is a need to build a community from scratch. Networking, outreach and marketing are crucial. To this end, creating a large database to mail out all pitches, events and opportunities can be hugely useful. Use blogging, social media, websites and offline communications to establish a network beyond those who physically use a hub. Universities can make excellent partners in terms of identifying future entrepreneurs and staying up to date with relevant research. The Co-Creation Hub is also collaborating with Universities to develop more practical course content, which will be critical to nurture a new generation of successful future techies. Hubs would hugely benefit by identifying stakeholders beyond techies and designers, such as sector experts and civil society. This may include activists, academics, government and private sector players. This will ensure that products are developed which address genuine needs. 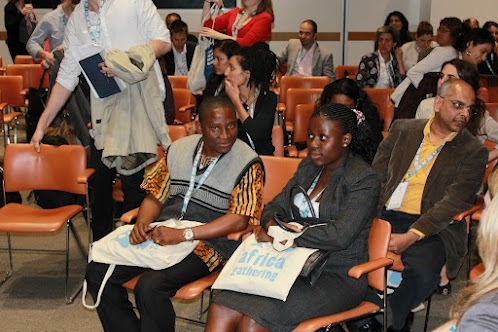 Civil society can also play a crucial role in raising awareness of products and supporting communities in their use. Hubs have occasionally been accused of being elitist. It is worth considering ways of increasing access to marginalised segments of society. To this end, HiveColab in Uganda, KINU in Tanzania and Co-Creation Hub all have projects aimed at encouraging women to join the tech community. It has been suggested that free membership could be provided for under-represented groups or those ill able to afford membership charges, such as secondary school children. Kwesi Eyison, who hopes to establish G Space, described how establishing attitudinal change towards encouraging sharing, building trust, supporting entrepreneurship and taking risks is key to encouraging new techies and ideas. Sometimes the most significant impacts are unexpected. Funders need to give entrepreneurs an opportunity to experiment, fail, learn and evolve initially. Fortunately it can be easy to measure usage patterns for tech projects. Google Analytics is an excellent tool for this. Interestingly, Governance Applications can be more popular in Africa than in ‘The West’. In a year and a half, a Nigerian Constitution Application on Blackberry, developed by Zubair Abubakar, has had over 150, 000 downloads, and, once it was developed for new platforms, it received 85, 000 downloads in just two and a half months. Using social media and exploring the websites of grantees can sometimes provide a lot of insight into their work in real time, rather than having to wait for official reports. Building a good relationship with grantees, including regular communication and updates results in more open dialogue around challenges. Funders are more likely to support a project again if communication is honest, failures are admitted and appropriate changes to projects are suggested. Funders are aware that things don’t always go according to plan. BudgiT aims to display Nigeria’s budget in a variety of interesting infographics which makes it simple to understand and enables citizens to see how it impacts on their everyday lives. The idea for BudgiT, one of the start-ups being incubated at Co-Creation Hub and supported by Indigo Trust, arose out of a Tech-In Governance event which took place in Nigeria before the Hub even existed. Following a call for ideas, the most promising were selected on the basis of their business model, route to market and the strength of their idea. 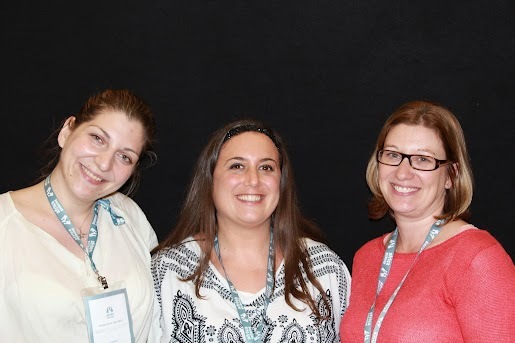 The team then identified experts who volunteered their time to provide a range of support including expertise in marketing, business support, governance, programming and design. The Co-Creation Hub assisted BudgiT in devising a workable implementation plan and released funds gradually, based on the achievement of Milestones at clearly defined phases. They also provided them with the necessary technical and business support. A particular focus was placed on understanding the target audience and ensuring that the infographics displayed data in a simple format and related to issues that people could relate to in their daily lives. This can be exemplified by their creation of an infographic which brought home the contribution of oil revenue towards Federal and State Budgets during the Nigerian fuel crisis in January this year. Initially there was no obvious route to generating income, but as Co-Creation Hub recognised, once they had demonstrated the benefit of the products in helping civil society organisations to analyse information, opportunities arose to provide consultancy and develop relevant infographics for civil society, the private sector and public bodies. 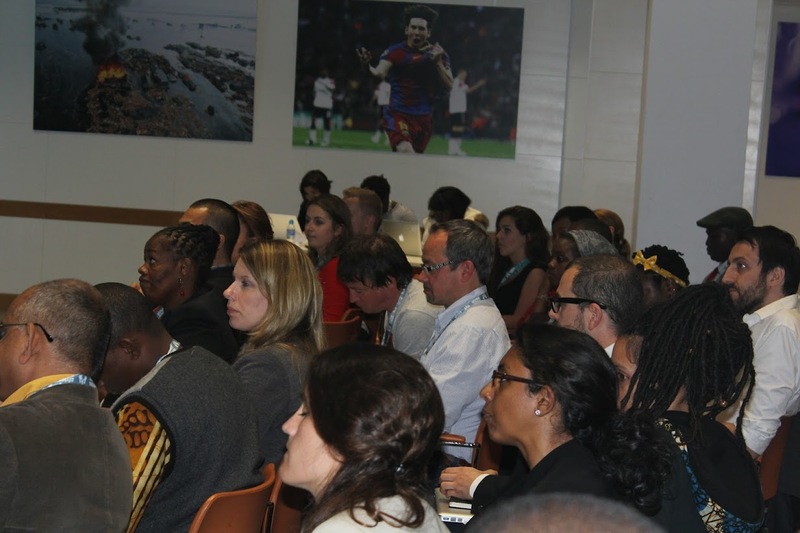 This included unexpected players such as banks, which recognised a need to present their data more simply and some of Nigeria’s more forward thinking States, which have also requested their support in providing infographics to improve their transparency and accountability. The iHub in Nairobi, Kenya is the most well established tech innovation space on the continent with 8,000 registered members and over 100 users per day. It believes in enabling people to grow at their own pace and learn from each other. Hamilton Juma (Tosh), the hub manager gave an animated and inspiring presentation about the space, focusing on financial sustainability. You can view his presentation here. The importance of the design of the space. It needs to be relaxed and open to encourage collaboration and ideally include a large space in which to hold events and facilities that encourage socialising, such as roof terraces and cafes. Establishing partnerships is critical to generate new ideas, grow and help to get exposure and support. Don’t forget to have fun. 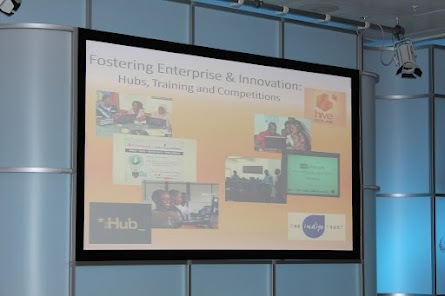 The iHub has found that social events have helped build the community, encourage collaboration and build trust. For example, they have a Code FC football team. It is crucial to stay true to your core vision. At iHub, the community is key. According to Tosh, ‘If it doesn’t benefit the community then we don’t do it’. 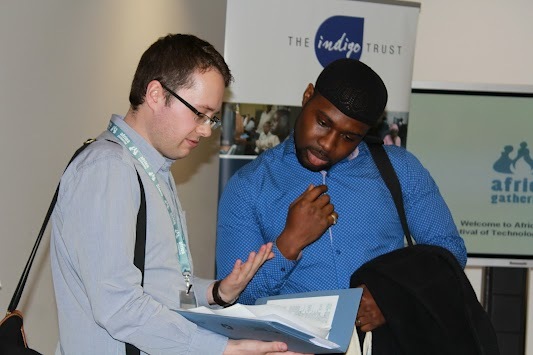 Whilst Indigo Trust recognises the need to support innovation hubs in getting off the ground, we encourage hubs to achieve financial sustainability over time. In this session, the hub managers explored approaches to generating income. There is still some debate as to whether people should be able to access a hub for free or incur charges. Tunji stated that ‘free is a problem’ as people are more likely to take ownership and value something when affordable charges are incurred. 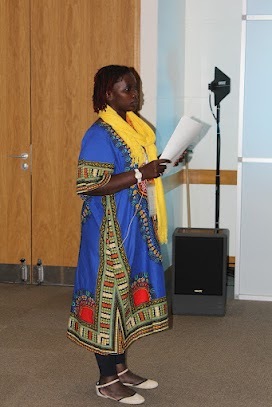 Tosh from iHub believes a hub can be more inclusive when it enables at least some free access, though measures need to be put in place to ensure those accessing the space and the services provided are committed to generating ideas. They do this by asking people to report to the community every 6 months regarding what they’ve been working on in the space. He stated, ‘We want doers not talkers’. They aim to keep 25% of members each year and bring in 75% new members. This enables the culture to be maintained whilst enabling people to ‘move on’ when ready. Can people volunteer their time to access a hub for free provided they contribute to the community? Tiered membership schemes can enable both free and paying members to co-exist in a hub and access varying degrees of services which accommodate their needs and budget. Interestingly, Tunji also highlighted that membership fees only account for 3% of their income. Sustainability strategies are likely to evolve over time. It is worth taking time to test models, experiment to prove methodologies, adjust and test again to get it right. Hosting a jobs board on their website – they charge 1000 Kenyan Shillings per month (around £8) to advertise and made 300,000 Shillings (around £2,300) in the first 3 months. They rent out the space for corporate events which target techies e.g. product launches. Civil Society organisations can also rent out the space. They have a tech research arm which receives contracts from external bodies. iHub Consult manages large projects which require an appropriate management team. They plan to launch a User Experience lab in order to inspire a User Experience culture in Africa which includes a training portfolio. Businesses will be charged to access this service. Hubs can charge for some events and trainings, ideally with scholarship opportunities available for those who can’t afford them. 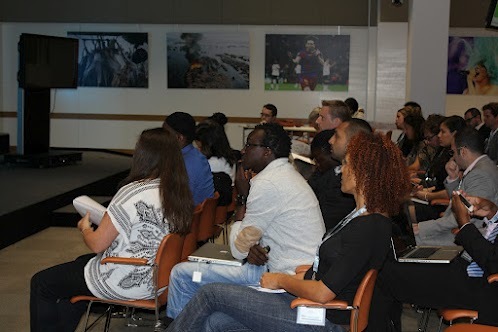 For example, the iHub has run project management master classes. Utilise your wider network to identify opportunities to receive gifts in kind such as phones, internet connectivity, equipment and business support. Charges can be made to access the hub network. Understand your Network: once you know the skills of your community, you can sell these to stakeholders . Some members pay for desk space. Tosh warned that there has been limited demand for this and it can detract from their key mission. We at Indigo are hugely enthusiastic about exploring how Tech can support social programmes in a wide range of sectors including health, education, human rights, good governance, agriculture and citizen empowerment. Tech solutions can address a social challenge whilst still being profitable. BudgiT, described above, is an example of this. It’s worth considering how one can address a need and generate income at the same time. The ‘Freemium model’, where users can access basic services for free but are charged for additional services. Small charges to end users. Providing a chargeable service which saves people money or helps them generate an income. Providing chargeable services such as consultancy and training. Charging larger organisations to access services, possibly providing additional personalised services. Commercial players may be keen to purchase applications or large organisations may wish to utilise products. Flexibility is key – look out for opportunities which may arise at any time. One intriguing example was Bongo Hive being approached to create an App which people could use to warn villagers of elephants approaching a village! Careful consideration needs to be given to the availability of technologies locally and the capacity of the end users. For example, when designing a service for rural farmers, literacy and language, tech literacy, availability of technology and access to a power supply need to be considered. SMS and IVR (interactive voice response) platforms or community radio may be the most appropriate way to reach these communities. Using locally available technology is key. Remember to make your applications fun. Some of the techies at Bongo Hive have developed curriculum quizzes which enable people from different regions to compete. Two-way interactivity often makes for better user experience and is more likely to affect change. Bongo Hive recommends an Agile approach to the development of products where one involves end users in the design process and adapt products according to their needs. Build solutions for real problems and keep testing your products. Social tech projects are most likely to achieve social impact when they are delivered in partnership with well-established organisations at either a grassroots or national level. Techies seldom have the capacity to raise awareness and support beneficiaries in using their tools, particularly when targeting remote communities. This role can be best served by a civil society or government partner. Such collaborations can also provide valuable insight into the needs of beneficiaries and enable techies to involve them in the design of their products to achieve the greatest success. Bongo Hive is working in partnership with VVOB, an educational charity, to provide distance education to students and create innovative applications. They are involving Plan International, who specialise in youth participation. Establishing partnerships with well-established networks like farmers groups, religious organisations and community groups can complement online outreach and raise awareness of products. Attracting professionals is key too. Doctors, teachers, engineers, human rights experts and civil servants can all help to identify community needs and help to bring change from the inside. 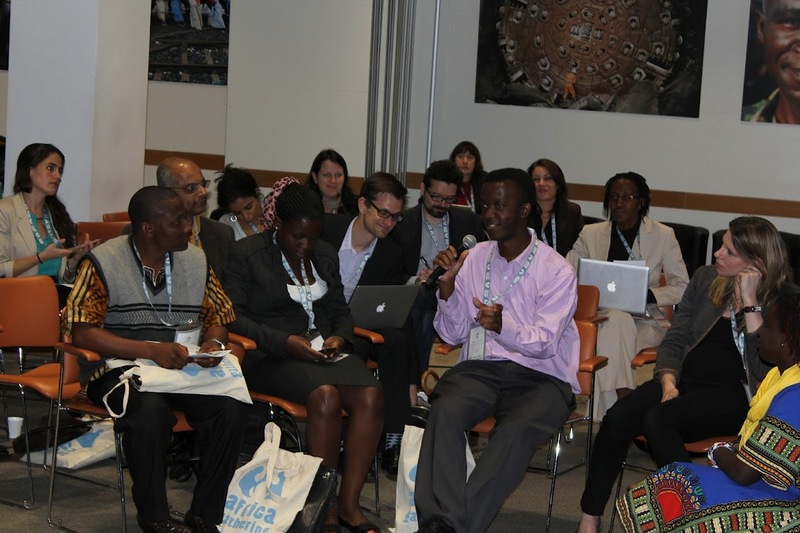 It is important to connect with media organisations including community radio stations to create awareness of tech for social change tools. Bart highlighted that collective action can be scary for some players such as more traditional local authorities and organisations. Learn how to talk confidently about your approach and give people time to adapt. Aspiring entrepreneurs need to be patient. An innovation cycle can take time and it’s worth remembering that you may have to fail before you succeed. Hub managers spoke of the need to build confidence in people. Once people recognise their ability to effect change, they will convey this message easily to others. Women can be attracted to hubs by showcasing successful women, identifying female mentors, through outreach and designing events exclusively for them. For example, Bongo Hive has established a women’s network. Bongo Hive is still creating a community from scratch. Bart explained that once you build a community, opportunities naturally arise. Events, online and offline awareness raising and competitions have helped build the community. Competitions around key issues can stimulate interest around a key sector such as health or governance. Bring in experts to provide context and pose challenges. Achieving financial sustainability remains a challenge for most hubs. Prohibitively high power and internet costs. Funders and corporate sponsors could dramatically impact on hubs by covering these costs or providing discounted services for hubs in exchange for branding. Funders and other Stakeholders could also provide valuable ‘gift in kind’ support such as testing facilities, mentorship and training opportunities or through making good use of the hubs’ world class services. Interventions which encourage collaborations both between hubs and within hubs are critical. Accessing finance for the start-ups being supported by hubs can be challenging. Funders willing to take a risk and support innovative projects coming out of the hubs are likely to reap rewards. Encouraging techies to work on social projects remains a challenge. Identifying workable business models to achieve financial sustainability will be key in achieving this aim. Hubs still need to be supported in identifying good non techie partners from civil society, the public and private sector. Get in touch if your organisation is keen to explore innovative solutions to age old challenges and you’ll be surprised by some of the fruitful collaborations which may arise out of discussions. Helping hubs identify key partners to assist in incubating projects remains key. Tackling certain issues in some environments can pose a risk to team members. Security needs to be prioritised. Local capacity still remains a problem in many regions. Hub community members can greatly benefit from technical training, business support and project management, mentorship, legal training and a wide range of other support. Attracting aspiring community members from marginalised or under-represented communities remains a challenge. Data costs to end users of applications often remain prohibitively high. This is particularly the case for SMS and voice services, targeting those without access to smart phones and computers. Mobile operators and ISP providers could assist in reducing these costs if effective business models are identified. More focus needs to be placed on the wider regulatory and policy environment in order to create a welcoming ecosystem in which businesses can thrive. There is a need for more hubs to spring up both in new African countries and within the same country, both in cities where hubs are already established and in new regions to support growing tech communities. Hub managers have expressed keen interest in collaborating. We at Indigo believe it is crucial that any plans for collaboration come from the hub managers themselves and we have invited them to submit a proposal to us, outlining the best way to proceed. For hub managers interested in exploring collaboration, please contact Tosh on tosh@ihub.co.ke. You can also start discussions using #AfricaTechHubs on Twitter. Funders interested in getting involved in supporting collaborations between hubs, please contact me loren.treisman@sfct.org.uk. We are also interested in hearing from anyone in the private, public or third sectors who are interested in supporting tech hubs across Africa. To this end, we are hoping to run a series of working lunches exploring support for hubs and supporting tech for social change projects, focusing on specific sectors. We’d love to hear your suggestions on the types of topics and issues you think it would be helpful for us to address. We’re particularly interested in engaging with funders who have an interest in this field. Last, but certainly not least, we are constantly learning from all the fantastic hubs across Africa. If you run a hub or are an entrepreneur who used a hub, please feel free to comment on this post and share your suggestions, comments and queries around hub best practice.